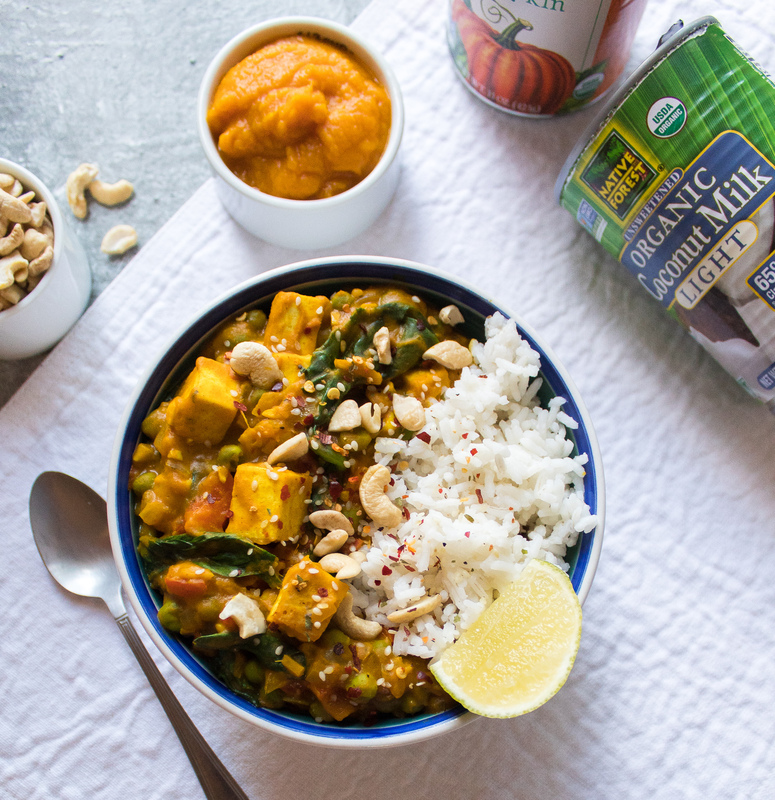 We’re really getting into the fall season with our food right now and nothing screams fall more than a warming pumpkin curry. 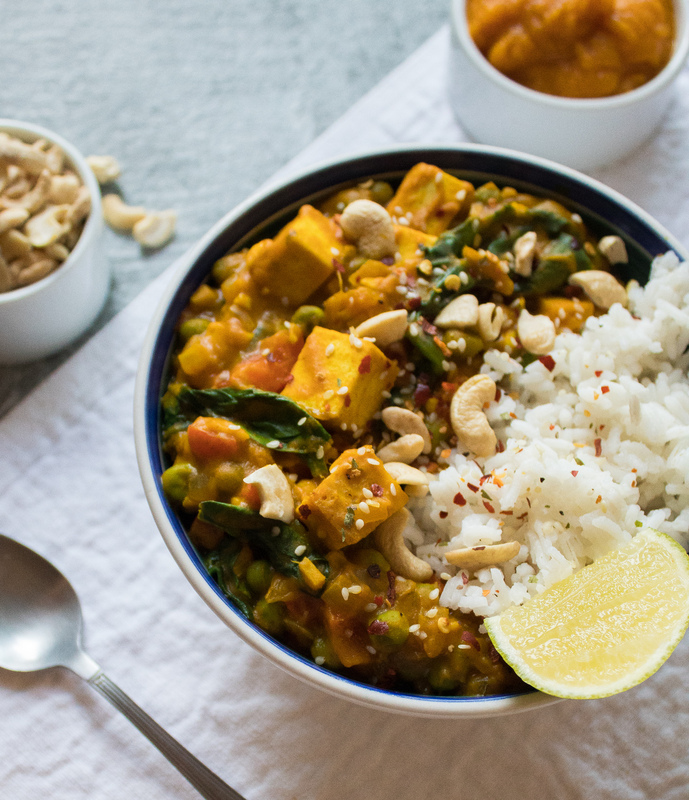 The bright vitamin-A rich pumpkin coupled with the anti-inflammatory curry spices is the healthy and flavorful meal your body is craving right now. This is a one-pot, easily doubled meal that is an easy way to get in your veggies for the day. We used tofu as our protein of choice here, but this will work just as well using chickpeas, lentils, chicken or seitan. Just be sure to adjust cooking time to make sure your protein is cooked to your liking. Another versatile aspect here is the vegetables used, if you don’t love any ones we used just swap in your desired veggies of choice. 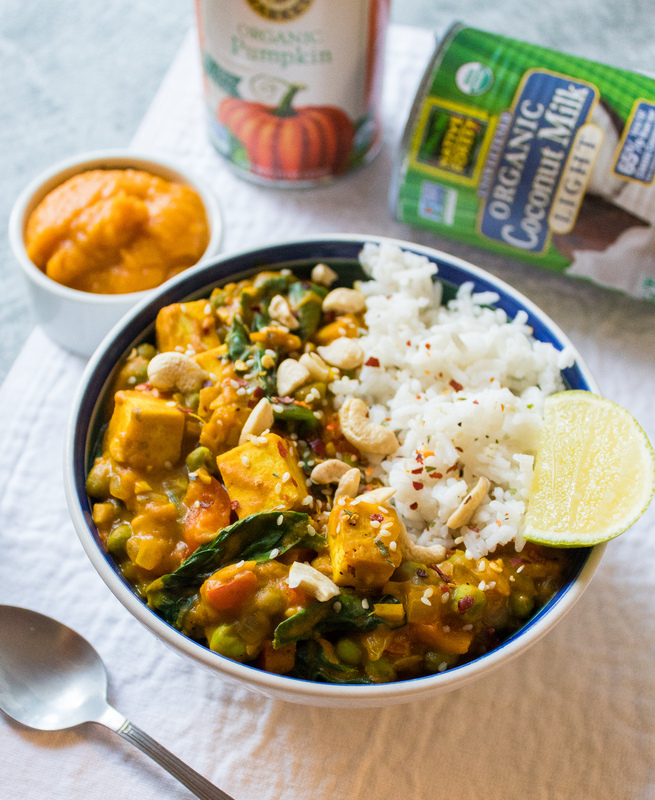 This recipe is also a time and wallet friendly option, especially with the farmer’s market canned pumpkin and Native Forest coconut milk on sale this month! Frozen veggies are also a great way to eat organic when money is tight, or your favorites are out of season. We hope you enjoy this warming curry just as much as we did and if you make it let us know on social media! We started by pre-baking our tofu; simply place your tofu on a lined sheet pan and bake for 10-15 mins at 375 degrees Fahrenheit. To start the curry sauté the garlic, onion and ginger in your oil of choice over medium heat. Then add the spices to let them heat up until they become fragrant, about 3-5 mins. Next, pour in the peas and bell pepper, continuing to sauté everything together, adding extra oil or a bit of water if needed. Then, add the pumpkin puree and coconut milk, stirring until the curry is uniform and lowering the heat to a simmer. 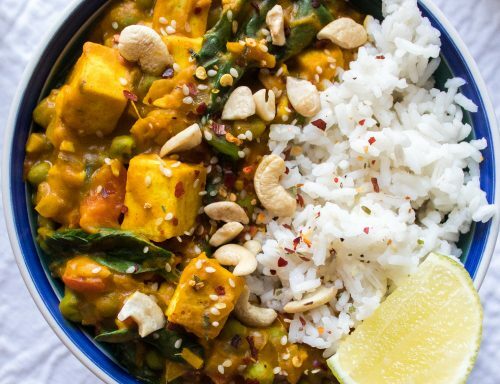 Remove the tofu from the oven and add into the curry. Toss in the spinach, with a squeeze of lime juice and mix into the curry until wilted. Let the flavors combine for another 5 minutes. 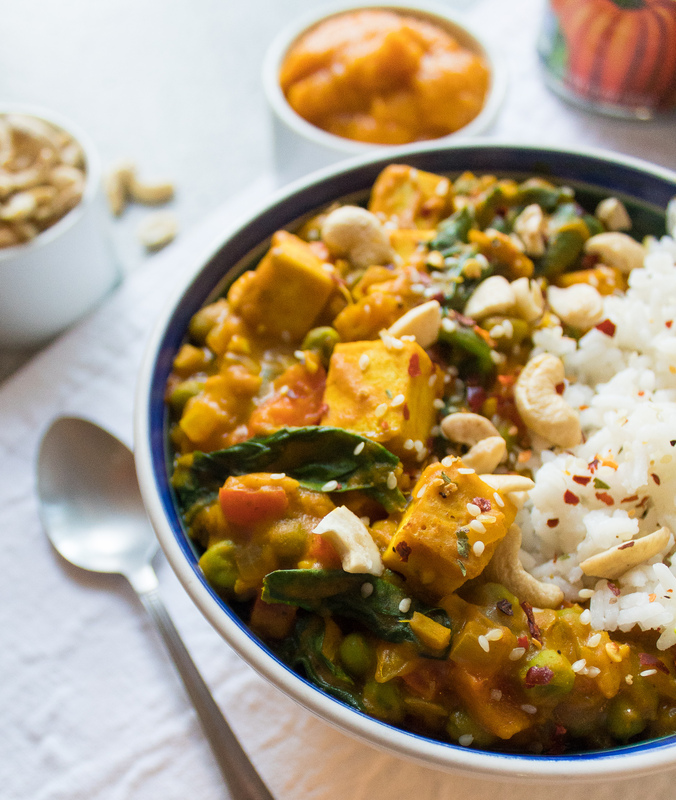 Separate the curry into two bowls, serve with rice or quinoa and top with extra lime juice, and cashews or sesame seeds, if desired. Enjoy!